Q: How Do I Join The Eaton Certified Contractor Network? A: Joining the Eaton Certified Contractor Network is easy. Are you a electrical contractor that performs renovation or service work? Are you looking to partner with a manufacturer in an effort to provide clients with an increased level of confidence about your already stellar work? Are you looking for ways to give you and your technicians an advanced level of technical training ? Do you want to separate yourself from the other electrical renovation and service contractors in your area? If you answered yes to the above questions, then you need to become a member of the ECCN. Please apply today using the link at the bottom of the page. After registering your company to be a part of the Eaton Certified Contractor Network, you will receive an email confirming your enrollment and you can begin taking advantage of the web-based training and learn more about the Eaton line of residential products. 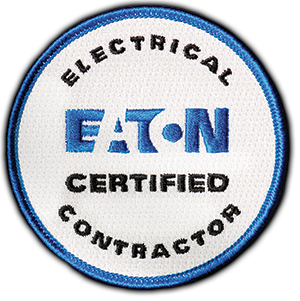 Q: What Do I Get When I Join The Eaton Certified Contractor Network? An initial certification course to increase your knowledge on market opportunities, Eaton products and their value to your clients, consultative selling and service standards. ECCN University – a wide array of courses are available for all employees to take in order to sharpen business skills. A presence on the Eaton website for referrals and leads. As membership grows in your area, look forward to joint marketing efforts and a complete lead generation system to drive business and capture it for the members of the network! Q: Is There A Fee Associated With Joining The Program? A: Yes. There is a fee associated with being a member of the Eaton Certified Contractor Network (See Pricing Table). Q: How long is the Home Safety Certification class? A: It is a one-day, 8 hour course. Lunch is provided for the participants. Q: What does the Home Safety Certification class consist of? Outdated Technologies/Techniques – What are they? How are they hazardous? How to identify them, etc. Eaton’s Product Solutions – Whole house surge protection, AFCI, GFCI, reno products are all highlighted including a vast array of Wiring Device products. The technicians will understand what the products are, how they work, what the homeowner value is and how to present these to customers. Consultative Selling to Homeowners – All technicians receive sales training on how to consult homeowners on problems and how to provide solutions. Customer Service – Eaton’s A+ service standard is discussed to help the owners and technicians understand how their appearance, actions and attitude can all affect the value that a homeowner places on them. Q: When is the enrolled contracting company considered "certified"? A: After one or more technicians attends a certification training session the company is considered certified. It is at this time the contractor's name is put on the myhome.eaton.com website as a certified installer. Q: What should contractor do if they do not have an email address? A: The contractor can register for a free email address through yahoo, gmail or hotmail.